hey tredyffrin township a digital billboard HERE? really? do you have anything to say yet? This photo is from 2016, but I drove past Ebenezer today and essentially, this is what it looks like..AGAIN. In February, 2018 I wrote a post titled will 2018 mark the year of history at risk at the ruins of ebenezer on bacton hill road, frazer in east whiteland? Well I am back to tell you sadly, I think I am right. Ebenezer looks like hell. Again. I am done with trying to get people to pay attention and preserve and save this site. It is pointless. I drove past Ebenezer today and the photo above is from 2016, but essentially that is exactly the way it looks now. Perhaps worse. I couldn’t stop and take a photo as there was traffic. Ebenezer has been swallowed by the green death of weeds. The old farmhouse across the street is pending the wrecking ball as the development which alarmed me due to it’s proximity to Ebenezer was apparently approved? 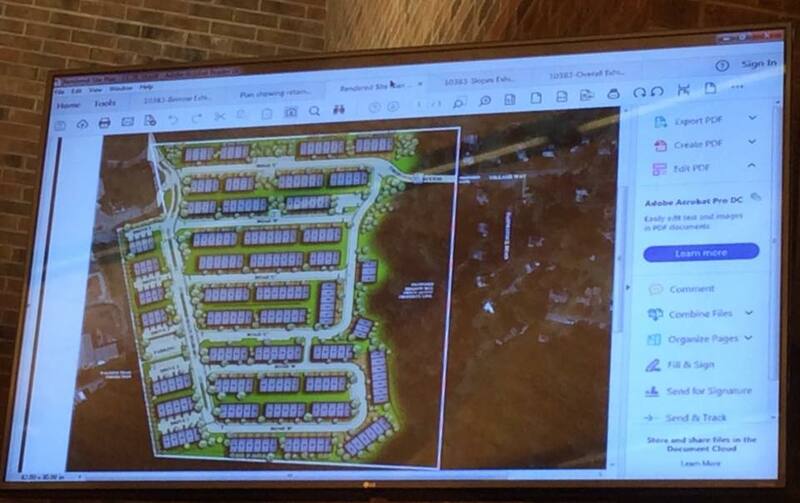 These houses are going to be right next to Ebenezer on one side. A concern I still have is a lot of us have always wondered if there were more graves on each side of the fences (See blue arrows). A new development right on top of this site of ANY size puts this historic site at risk, in my humble opinion. Which is why a lot of the conversations concerning any development anywhere has to also include protecting historic sites, right? And this site is fragile so what will the vibrations of earth moving construction equipment do? My guess is nothing good. Back to my topic at hand: Ebenezer. Bertha next contacted Steve Brown at East Whiteland Township and eventually me as well. Apparently with Steve from East Whiteland they discussed East Whiteland and this Bacton Hill development site. Steve also gave Bertha the court reporter information for the zoning hearing on the Bacton Hill development plan I guess it was. So then Bertha and Pastor April reached out to me again. We had a nice phone call back on February 20. I will admit being snippy at first because well, they were among the first I reached out to years ago when I started this odyssey. And back then they made me feel like the teenage girl dumped at the high school dance – they just evaporated at the time. Or at least that was my perception…. Amusingly enough, apparently East Whiteland really did not notify the AME church of this plan because well, the non-existent mailing address for Ebenezer was (as in decades ago, right?) 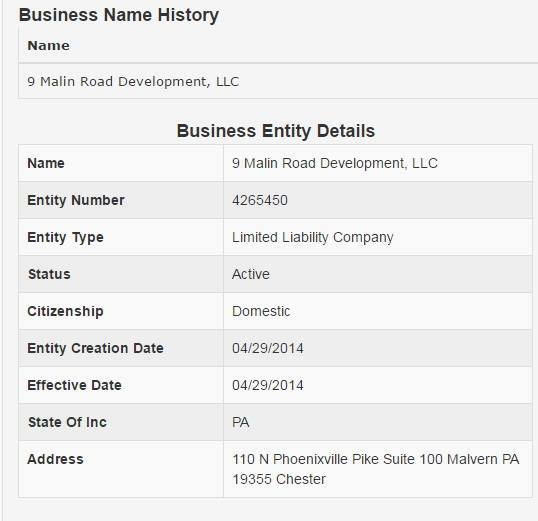 RD1 Malvern Pa, and ummmm… hey now it’s been a long time since there were any RD rural delivery addresses around these parts due to all the freaking development, hmmm? East Whiteland should know the address of the church was/is 97 Bacton Hill Road. 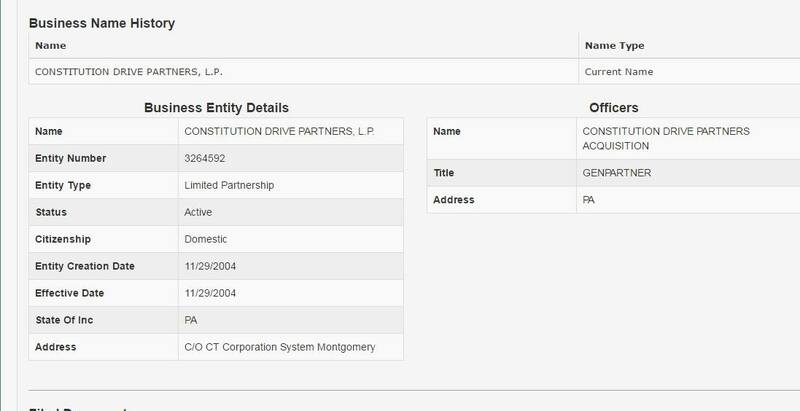 East Whiteland should have maybe tried contacting the corporate offices of the AME Church or Mother Bethel in Philadelphia, right? But government is government and if something appears abandoned, how far do you go on the notification process? Especially when no one has really stepped forward to say Ebenezer is their responsibility, right? So I did then have a conversation with Bertha and Pastor April back in February. At that time there was limited time for the AME Church to file a zoning appeal if they wanted to go that route. I do not know whatever happened, because I had no standing in the zoning matter and zero involvement because I knew I had no standing (I don’t live over there on Bacton Hill Road and I am not on the East Whiteland Historic Commission), even if I worry about the history of Ebenezer. 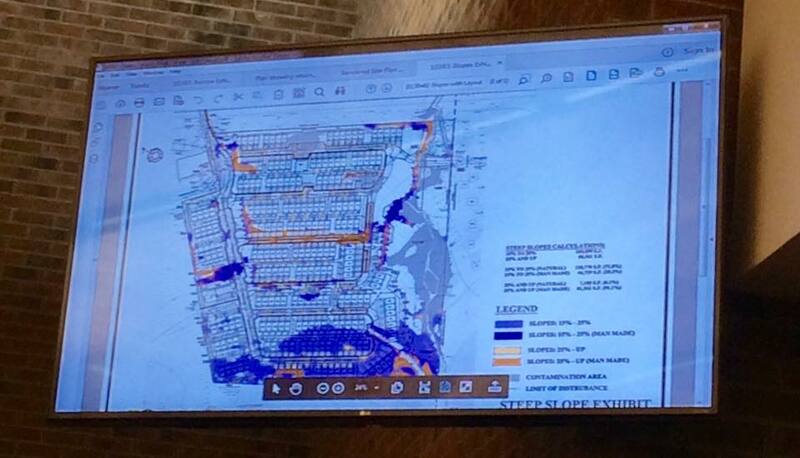 You need standing in zoning matters. The AME Church had they chosen to get involved with their history on Bacton Hill could have possibly sought an appeal based on ground vibrations or perhaps the impact to a historic site and also perhaps for the basic fact they did not receive good notice of a zoning hearing and should have if they are admitting the AME Church still owns the Ebenezer site, so is that what the AME Church was contemplating admitting here? Since I do not think an appeal was ever filed would that be part of why they didn’t appeal? Because then they would have to admit they let their own historic site rot and go to hell in a hand basket? Anyway, to the best of my knowledge the development of those houses is going to happen and Ebenzer is SO overgrown that no construction crew is even going to notice what is there except a seemingly empty lot. But I am done. If the AME Church doesn’t care about preserving it’s early history, why should I care? It’s not my Church, after all. I did not expect this development plan to stop, but I was hoping that for once the AME Church would at least act to see Ebenezer’s ruins were stabilized and preserved. Yes, I am really done. I have ridden this pony as far as it can go. My last hope was the late Al Terrell. But he is dead more than a year and no one is stepping into his shoes to get the site cleaned up. And that is not anyone’s job truthfully other than the blasted AME Church. And they do not seem to care. Some day, I predict, in the not too distant future the only records of what was Ebenezer AME will be what I have saved on this blog. I am tired of expecting different results. I will post news as I get it, but I am divorcing myself from this. It’s too aggravating to care about a place that no one else, let alone the church that apparently still owns it, cares about. History is important, but time is fleeting. I am sorry to the old souls buried at Ebenezer. I tried. 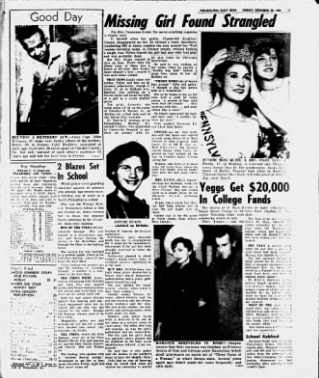 Editor’s Note: This story is from the Nov. 30, 1964 issue of the Daily Local archives. Connie Evans was found dead yesterday afternoon. The West Goshen Township girl’s body was discovered by a Berwyn man, out for a walk, in a shallow grave just south of Chester and Berkley roads in Easton Township. Police said the indications were the child was strangled…. Investigators said that the girl may have been slain shortly after she was last seen on Oct. 24. That was five weeks and one day ago. The girl’s grave was about one mile southeast of the Easttown Township police headquarters, a mile directly south of Rt. 30 and a half mile north of Sugartown Road. It was on the estate of Theodore K. Warner Jr. , a member of the township’s board of supervisors. The girl’s mother, who lives in a tenant house on the Jerrehian estate, just above Rt. 29 and the West Chester bypass, was visited by Sgt. Francis Kofke of the West Goshen Township police force, last night….The girl’s grave was about 150 yards south of the supervisor’s home, near a large pine tree and in a fairly open area,” according to an investigator….The grave was 36 feet in from Berkley Road, at one side of a seldom-used path which is entered through posts of a wooden gate. A wooden fence which had stretched for some distance on either side of the gate has rotted away, and most of it is on the ground….Connie had left home shortly after 1 p.m. on Saturday, Oct. 24, her 15th birthday. She walked south on Rt. 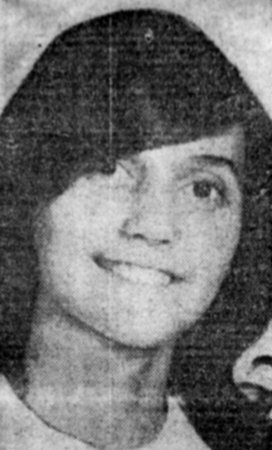 29 toward West Chester, to meet on the way a friend, John Launi, 15, of 208 W. Gay st. West Chester, as she had done several times previously….The crime was never solved though a local private detective says she knows who committed the murder. Yes I watch way too many detective stories, so I Googled . First of all, the article mentions the Jerrehian Estate. That means this girl and her mom lived on the old Sharples Estate in West Chester – where Greystone Hall is. A search team was put together and well over two hundred volunteers from law enforcement, Fame Fire Company, neighbors and friends combed a four square mile area. Blood hounds were brought in and tracked her scent to the vicinity of Phoenixville Pike and Route 322. Several private airplanes and two helicopters from the Willow Grove Naval Air Station crisscrossed the area for hours and reported seeing nothing out of the ordinary. Men on horseback, scuba divers who searched reservoirs, lakes and ponds were disbursed. Law enforcement set up road blocks questioning passersby to no avail. They all believed that there is no way Connie would have gotten into a vehicle with a stranger on her own volition. Further, many told me that she would have fought like hell anyone who tried to harm her. A man named Fred, who lived on Phoenixville Pike and who was getting his mail that afternoon, called police with some disturbing information. He told them he saw a man who appeared to be half black and half Hispanic or Italian drive by who had gone off the road a couple of times driving pretty fast. He says he got a good look at him, and what was disconcerting was that this man had an “arm lock around a girl’s neck who had dark brown hair – like he was hurting her – her head was flush up against him so he couldn’t see her face.” He was headed away from West Chester on Phoenixville Pike just before King Road. He flagged down a passing motorist who contacted Easttown Township Police Department. Then Patrolman Stanley Scott (now a Judge) and Chief of Police John Bunce responded. Patrolmen Scott examined the shallow grave right beneath an evergreen tree. He dug Connie’s body up by hand. She was naked from the waist down. The black leather jacket and the watch she had been wearing were never found. That night, Mrs. Connie Evans, next to her friend, Sgt. Fran, stood mute as he showed her the clothing: a blouse, knee length dungarees, undergarments, and a gold friendship ring. When he asked if they were Connie’s, all she could do was nod her head. As for me, I’ve always believed that when Connie took her last breath on earth, she breathed new life in Heaven. What a life that must be! I’m cautiously optimistic that when I drive past the area where she lived, the lump in my throat will be replaced with a smile. I know from Ms. Law that she has had people reach out to her since The Daily Local chose this particular case to highlight as a #TBT. And if you read her words above, if DNA evidence had been in effect in the 1960s, her case would be officially solved, and there would be no mystery. This story of Connie Evans has had a profound effect of so many people. She is a teenager frozen in time ans space. A life just beginning when it was frozen in time by her murder. She could be anyone’s child. Her poor mom. Her parents were split up at a time when it was hard for a woman to be on her own, let alone raise a child on her own. Connie inspired Eileen Law to become a private detective. These cases involving children are the worst, and even if they are adults when something happens, they are someone’s children. Like another missing person case that has interested me because it started in Lower Merion Township where I once lived – the missing person case of a nurse named Toni Lee Sharpless. (Yes, the Magic Kingdom does have a slightly sordid underbelly, doesn’t it?) My pal, writer Kathleen Brady Shea wrote about Toni Sharpless in August, 2016. Where Connie Evans was found – near or on Berkley Road in Devon in Tredyffrin is an area quite familiar to me. Especially since I occasionally photograph the old houses on the Tredyffrin House Tour for my friend Pattye Benson. I never knew about Connie Evans until my friend who is a life-long Chester County resident messaged me the article today and said how her aunt, who was 14 at the time has never forgotten the story. Her aunt didn’t know her, but they were close enough in age growing up in Chester County and her death made an impact on so many. 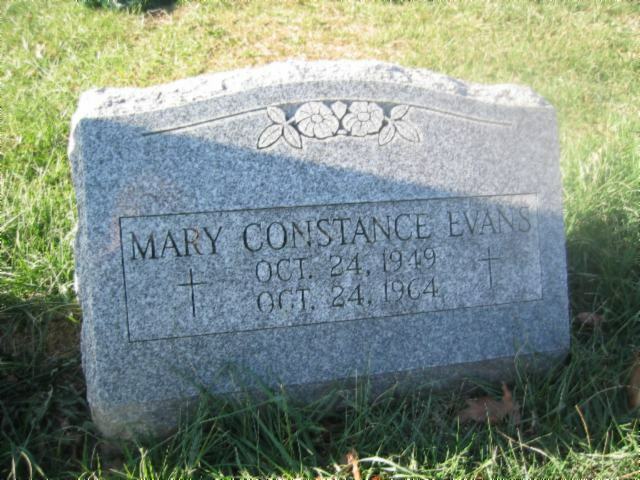 What would Connie Evans have been like if she had lived? Would she have gone to college? Gotten married and had her own family? It’s so tragic. It also makes you wonder what has become of the people who were her friends. What about her boyfriend who was named John Launi? How did this horrific event impact all of their lives? Life is a gift. And once again after spending some time dwelling on the murder of Connie Evans today I am once again reminded of it. Love your friends and family. old paoli at risk in tredyffrin and what’s up in mt. pleasant? Anyway, there were a couple of other things on Tredyffrin Planning, including a cram plan for shoehorning in an apartment building on Chestnut Road in Paoli. Paoli, as a village, was larger but similar to places like Ardmore with residential neighborhoods which were planned and existed off Lancaster Pike (Lancaster Ave). People still live in them today, and on Chestnut there are quite a few restored houses. Tredyffrin like East Whiteland has no historic preservation ordinance in place and in spite of near losses like that of the Covered Wagon Inn (which if it wasn’t for my friend Pattye would be a pile of rubble), there seems to be no discernible forward movement in this area. …My vision for the future of TredyffrinTownship is to preserve again what we have here that’s all good –our neighborhoods, our open spaces…. Chestnut Road in Paoli is still a neighborhood even if you also find mixed use and commercial in and around it. So what about these neighborhoods? Not fancy enough to save? What happens when all the inventory of starter homes and downsizing homes are gone? This is why I have several philosophical differences with those who run and govern Tredyffrin and neighboring townships like East Whiteland. The zeal for development and ratables combined with a lack of real community planning that communities actually want mixed with a disregard for historic preservation is just a big problem. Paoli’s orginal roots were 18th century and Joshua Evans’ Inn – General Paoli’s Tavern – named after a Corsican General Pasquale Paoli. General Paoli also inspired the American Sons of Liberty. Paoli is also famous for the Battle of Paoli/Paoli Massacre (battlefields stretch into Malvern as we all know). Where we are talking about is not 18th century Paoli, but 19th century Paoli. 19th century Paoli grew out of the railroad. First the village grew with the Philadelphia and Columbia Railroad, which became the Pennsylvania Railroad and their famous “Main Line” which ended at Paoli….you know why we still say the Main Line ENDS at Paoli? Paoli was the western terminus. Paoli has quite a few small neighborhoods like this and it terrifies me that they could all just cease to exist through a lack of historic preservation and proper planning. And the most terrifying thing of all? THESE PROPERTIES ARE ALREADY UNDER ONE OWNER which means unless stopped, this plan could move FAST! This is where I let Pattye’s post take over, and I will join you for a last word about continuing issues in Tredyffrin’s panhandle adjacent to Radnor Township. Close-up of Colonial Revival cottage, c.1895 house on Chestnut Road in Paoli that will come down for the proposed new apartment building. 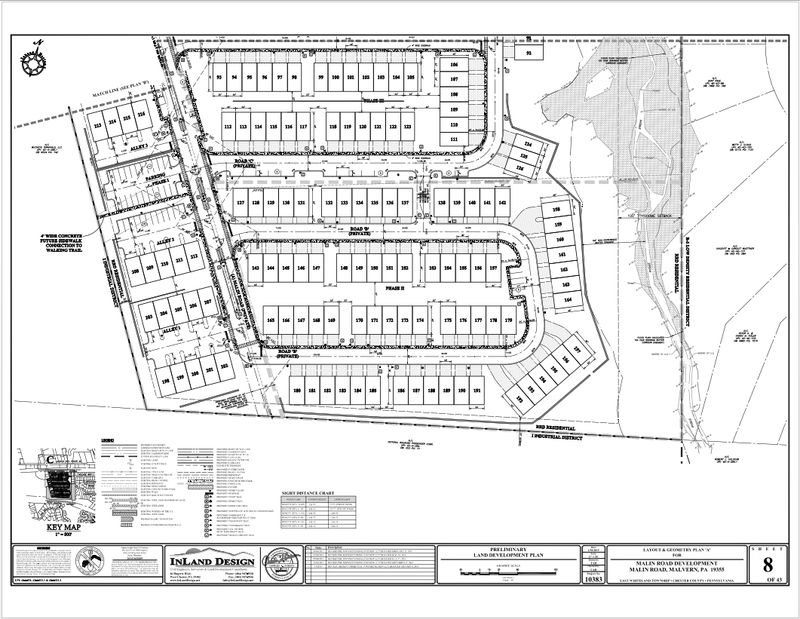 Tredyffrin, like neighboring East Whiteland needs to slow their development roll. George Washington sure wouldn’t want to sleep there today, would he? Now the last word. Historic Mount Pleasant. Mt. 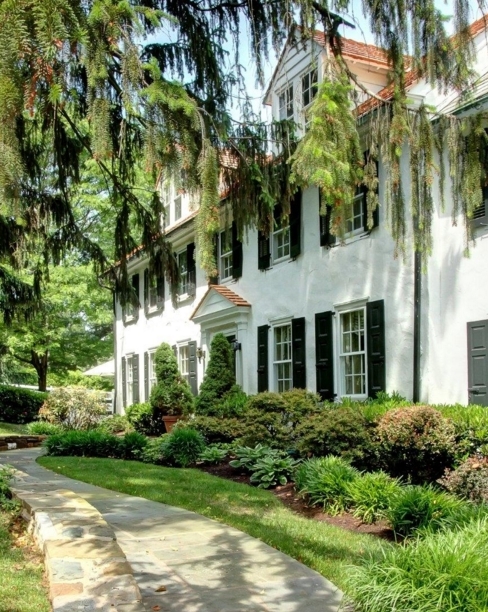 Pleasant is a historically important part of Tredyffrin adjacent to Radnor Township in Tredyffrin’s “pan handle”. Because Tredyffrin also did not deal with student rentals for so long, this is also where student housing slumlords have set up quite the slumlord student rental shop, and well suffice it to say, the college students who rent there have historically treated an entire historic area like animal house. I have a friend who lives there and the stories over the years have been appalling. Things like urinating on children’s toys in some someone’s yard. Beer cans and party debris littering the streets. Out of control parties. Residents being shall we say, intimidated? I would like Tredyffrin to take a look at the historic value of Mount Pleasant. 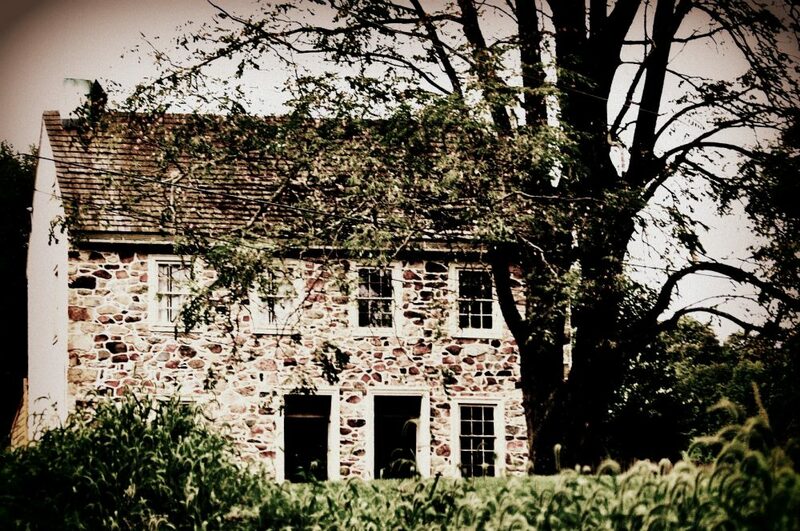 The Carr House on the corner of Upper Gulph and Radnor Street Road was built c. 1774. The Carr School was built in 1833. My house, according to the deed was built around 1789. 961 Mt. Pleasant Avenue was built around 1810. 941 Mt. Pleasant was built around 1860. And what about the significance of Mount Pleasant over the past 100 years as a historically african-american neighborhood? 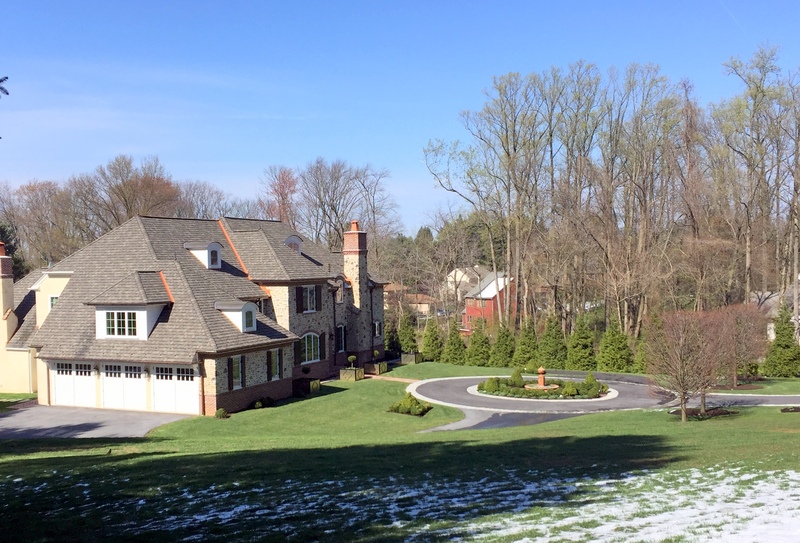 The Mount Pleasant neighborhood is located on the north side of Upper Gulph Road, across from St. Davids Golf Club…. several unsettling changes taking place in their neighborhood – the influx of investors converting family homes into student housing, and developers buying and razing properties to build new housing…..
Another issue troubling many in Mount Pleasant is the amount of land that has been snatched up in the past few years by developers. The demolition of homes and clear-cutting of land are viewed as detracting from the history and character of this predominately African-American community. One developer reportedly clear-cut trees and shrubs despite a development plan that spared mature trees. In the process, some private property was cleared without the homeowners’ permission. Another developer demolished a house at 958 Mount Pleasant Rd., leaving the lot debris, trash and weed-filled, attracting rodents. This mess has sat unattended for over a year. The property under development at the foot of Henry Avenue appeared recently tidied and covered with erosion-control netting. However, at least three homes marked for demolition at this site continue to sit abandoned and a danger to neighborhood children. One is the century-old home (shown left) of revered community leader and civil rights activist, Mazie B. Hall. Now this where I have always been puzzled about Tredyffrin. They have bragging rights to Mazie Hall since she lived in Mt. Pleasant. I think they named a park after her. So why not honor her 103 years on this earth by trying to preserve the community she fought for and called home? Every time I hear anything about Mt. Pleasant I feel like they are trying to erase it. Mazie B. Hall – educator, mentor, civil-rights activist, community leader and friend to many – passed away Sunday evening at age 103. She was affectionately known simply as “Miss Mazie,” and until only recently she called the Mt. Pleasant section of Tredyffrin her home since her birth in 1902. According to those who knew her, Miss Hall left a legacy of caring and compassion. “She was an inspiration and beacon to us all through educational, civic, horticultural contributions to the Main Line community, and especially her beloved Wayne,” said Mrs. Arnelia Hollinger, a Wayne resident of nearly 35 years and former chair of Radnor Township’s Community Awareness Committee…..Yet, according to Rector, she was humble, not “stuffy,” and modestly talked about her life. She fondly recalled her luncheon visits to her Mt. Pleasant home, where Miss Hall was a genteel host. She baked a special dessert, Sally Lunn cake, a slightly sweetened teacake, reminisced Rector, serving it with the proper silverware and glasses. The gracious host also took her guest on a tour of the grounds. “She showed me trees that her father had planted,” she remembered. Miss Hall graduated from the former Tredyffrin-Easttown High School and then graduated from West Chester Normal School (West Chester University). Until her death, she was the university’s oldest graduate. The school maintains a scholarship fund in her honor. She taught school for many years in New Jersey’s Camden School District. Her career as an educator also included serving one year as principal at the former Mt. Pleasant School in Tredyffrin in the 1930s. When schools in the Tredyffrin/Easttown School District became segregated, she was involved in the movement for desegregation. She teamed up with long-time friend Margaret Collins to crusade for fair-housing practices on the Main Line during the 1950s. Their efforts influenced the formation of the Pennsylvania Fair Housing Act, the basis for federal fair-housing laws. Miss Collins, by the time I met her was a very old lady like her friend Mazie Hall. But what a career they had. 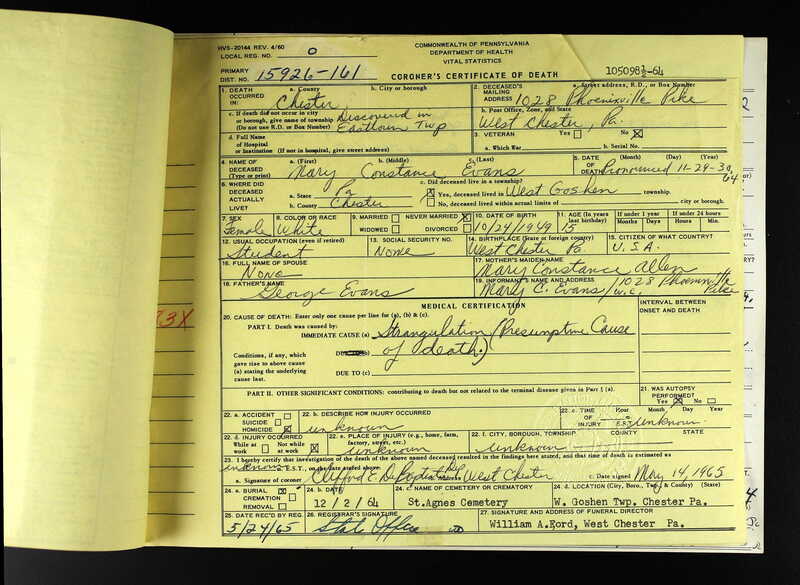 Read about some of what they did on the website Housing Equality Center of PA. Also the papers of Mazie Hall are curated and archived by Temple University, while her friend Margaret Collins’ papers are at Swarthmore College. So sorry for going off on a tangent, but when I think of Mazie Hall and all that she accomplished, I think of Miss Collins. And when I think of Mt. Pleasant, I think of Mazie Hall. If you lived in a neighborhood of small homes, would you want this thing next to you? And how is that garage a basement? 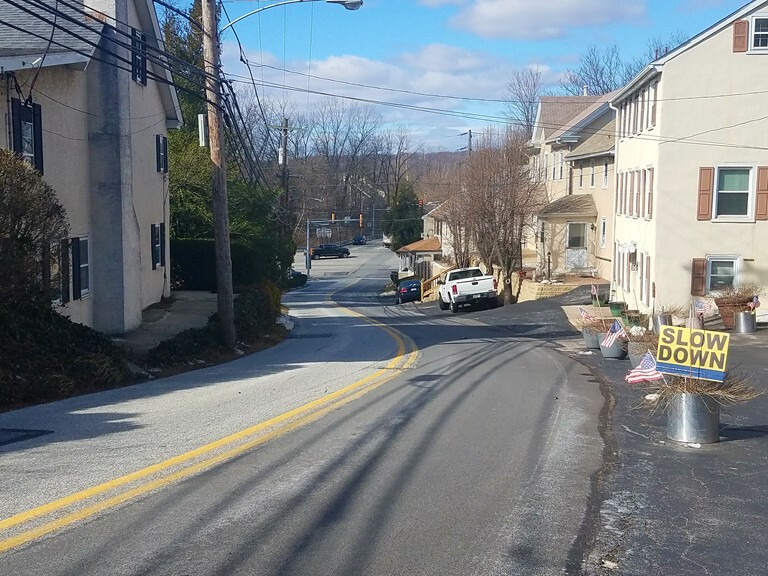 Tredyffrin has zoning and development issues. They are hardly alone in Chester County with this as I have mentioned before. Developer driven zoning and zoning overlays eats communities one road at a time like an army of Pac-Men. Community input should actually be taken into consideration, not just paid lip service to. And these smaller neighborhoods like you see in Paoli being threatened are often representative of a community’s more affordable housing. I am sorry but not sorry in my thought that people do not move to Chester County to live crammed in like lemmings in overpriced squished together townhouses and apartments. Here’s hoping townships like Tredyffrin and East Whiteland which share borders, history, and apparently developers learn to hit the pause button before what makes each of these municipalities special is eradicated one bad plan at a time. tea and history in tredyffrin! There are still some spots left for this lovely event! The tea party will feature presentations from women of the past that either lived or passed through Chester County. 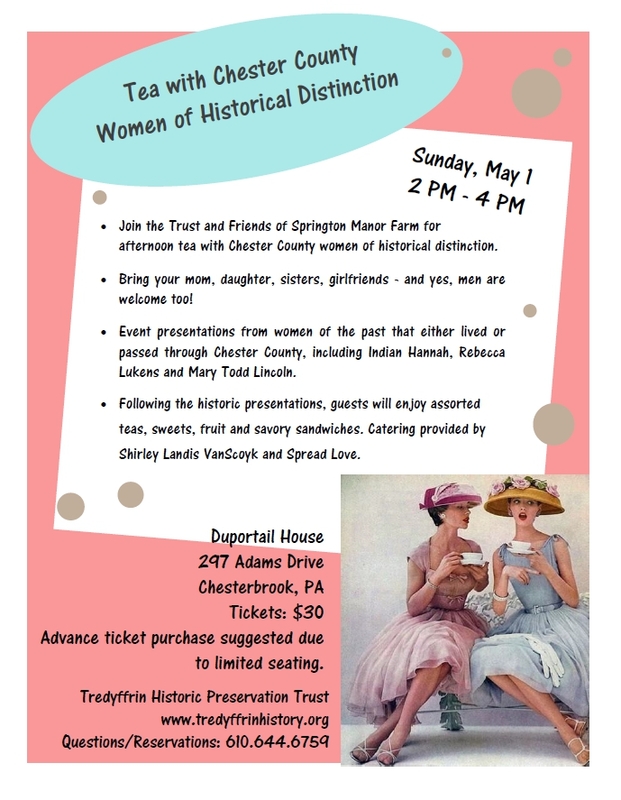 The distinguished women of history will be portrayed by members of the Trust and Springton Manor Farm, both nonprofit historic preservation organizations. The historic characters include Rebecca Lukens, first woman CEO of Lukens Steel, Dr. Ann Preston, first woman dean of the Women’s Medical College of Philadelphia; Hannah Marsh, who ran an Underground Railroad station and Marion Bartol, one of the last residents of Springton Manor. Tea party guests will also learn about Sarah Carmichael Blair, Indian Hannah Freeman and Ginevera Harrison Potts as well as the significance Mary Todd Lincoln had to Chester County. Following the historic presentations, guests will enjoy assorted teas, sweets, fruit and savory sandwiches. And Spread Love is doing the catering, so this will be delicious and informative and fun! This is a joint effort between the Trust and the Friends of Springton Manor Farm, a Chester County park. Several of the Springton Manor board members, including their current president Robin Spurlino, are participating as historic characters plus Judy DiFilippo (Trust Board member and former township supervisor) will play Mary Todd Lincoln. Support historic preservation and do something very civilized this Sunday! It was marketed as a “Main Line Classic”. 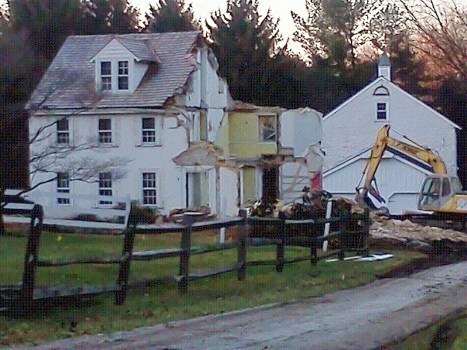 A “Historic Estate Property.” Only in the end it was just another demolition in the march of new development in Chester County. The property was idyllic. And updated. It was in short, amazing. 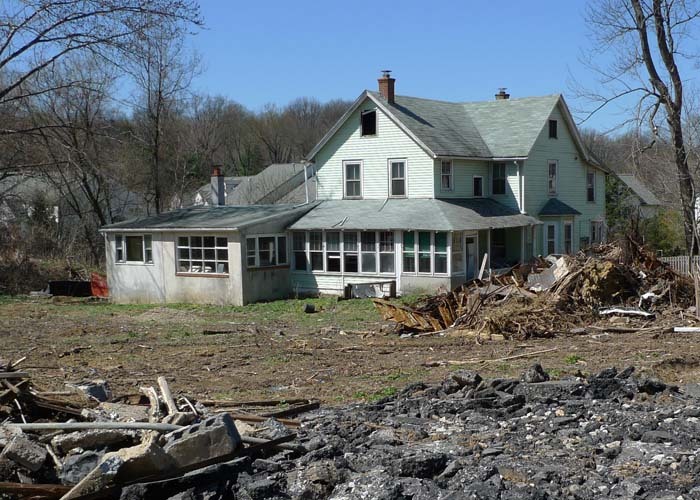 But although historic, there was nothing in Tredyffrin Township, Chester County to protect it. I wrote about it twice, Tredyffrin Community Matters wrote about it. At the time both blogs took an enormous amount of guff for doing so. We were being mean and unfair and so on and so forth. You are losing sight of the issue, is it preservation, or is it simply opposition to new construction? Not opposed to new construction — just support the preservation of our community’s historic resources. The friend who sent me the photo of the Ann Pugh replacement today remarked that whomever built the house might still have their former home on Pugh for sale? I have no way of knowing, and do not really care but what I will never understand is living down the street from something that was as beautiful as Ann Pugh Farm and then tearing it down to make your mark on the landscape, can you? The other thing I find so sad with all of this is the fact that in the two years between Ann Pugh coming tumbling down and today, Tredyffrin has not changed the way they protect historic assets in their township. After all, if they had, perhaps the Old Covered Wagon Inn in Strafford would not be at risk for demolition, right? I keep hoping East Whiteland will wake up before it’s too late. As a municipality they are facing essentially wanton commercial and residential development, and it is not necessarily what the majority of residents want but does that matter? The East Whiteland Historical Commission has made a couple of public utterances lately, but what exactly is there to back up what they are saying? Do they have a game plan? Or are they just beating their chests because they were awoken from their relatively inactive slumber? Or they love their history and work to preserve it actively like East Goshen and Willistown? Like the beautiful and historic homes lovingly preserved in the Boroughs of West Chester and Kennett Square? Wouldn’t you love more preservation like Historic Sugartown, Goshenville, and Yellow Springs Village? West Vincent is another municipality in the throes of development. There residents are worried this once idyllic township is disappearing one development at a time and where you used to smell the smells of crops and live stock, on a sunny day if you are close enough, you smell plastic. The new plastic smell of tract houses and development with no soul. In West Vincent residents are wondering what it would take to get the zoning found in Willistown and Charesltown townships and other places in Chester County where they wisely added lot size requirements to their codes in an effort to at least retain some of the open space if they can’t save the old houses and farms. People in West Vincent are terrified over huge tracts of land like Bryn Coed. Bryn Coed is roughly twice the size Chesterbrook was amassed to be before original development, correct? And it is an estate in more than one municipality, right? So what happens if Bryn Coed gets developed? Or is it more like when? It is a huge amount of land for people to be caretakers over in today’s economy, so I am just being practical as I do not see it surviving and neither do most people. But what will it become? The new Chesterbook? A Bensalem lite? And that is the problem throughout Chester County: there is not enough to save the history and barely enough to hang on to some of the open space. If we all do not come together in this county, what we love about Chester County will literally cease to exist. And what of the farming? What happens when you develop away all of the farms? Or add chemical plants where they once stood? It’s a lot to think about, but we must. We have an opportunity in a Presidential Election Year to demand more transparency from candidates for every level of office when it comes to open space preservation, land conservation, environmental conservation, farming, development, historic preservation. Ask the candidates. Whether running for a local supervisor to Congress, to State House to State and U.S. Senate it doesn’t matter who you are, ask the candidates the tough questions and make them earn their votes. It’s time to #SaveChesterCounty before what we love is all gone.